This week (May 1st-May 7th) is Children’s Book Week! As an adult, I’m a tad bit obsessed with children’s books, which I know sounds weird. However, read the right ones and you’ll realize how amazing they can be. They hold important messages in sweet little packages, and are a key to our children’s future success and learning. So, how do we equip our young readers with the right strategies to enjoy and comprehend the books intended for them? One way is through story retelling or summarizing. Retelling a story is an important reading strategy and measure of comprehension. It lays the foundation for students to be able to summarize effectively, discuss important concepts and overall furthers their learning. 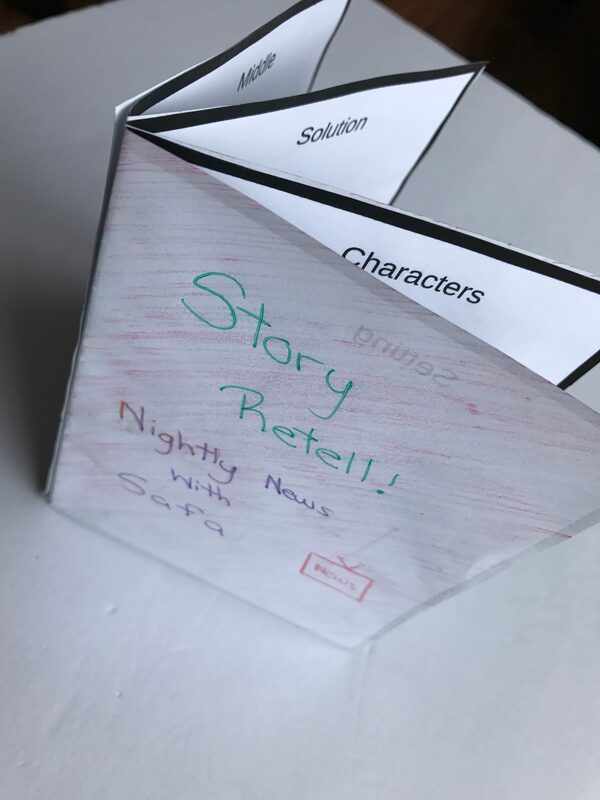 Here is my Reading Retell Package, with 6 different retell activities for your students. 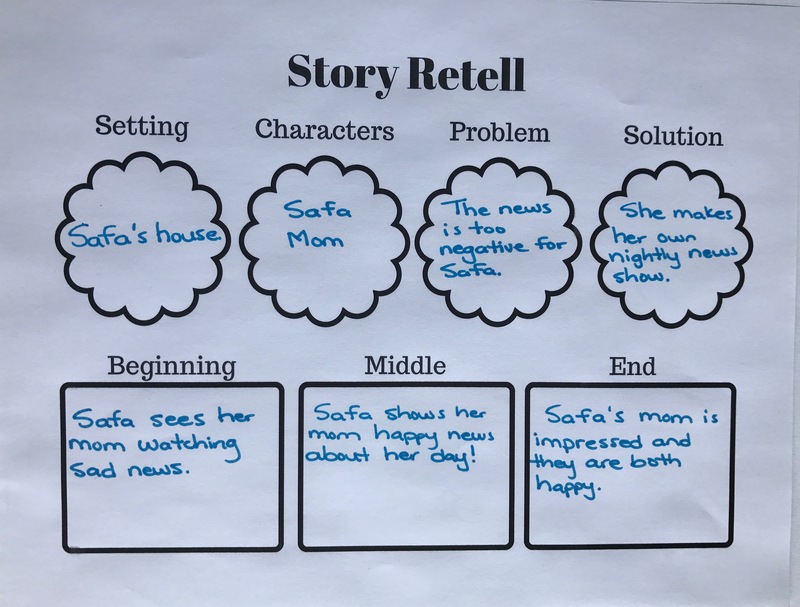 This is a basic graphic organizer, where students fill in the blanks with details from a story (I used Nightly News with Safa :D). It’s great for students who are just starting out with retelling a story. For this activity students fill the clouds with details from the story, and record the beginning, middle and end beside the flowers. 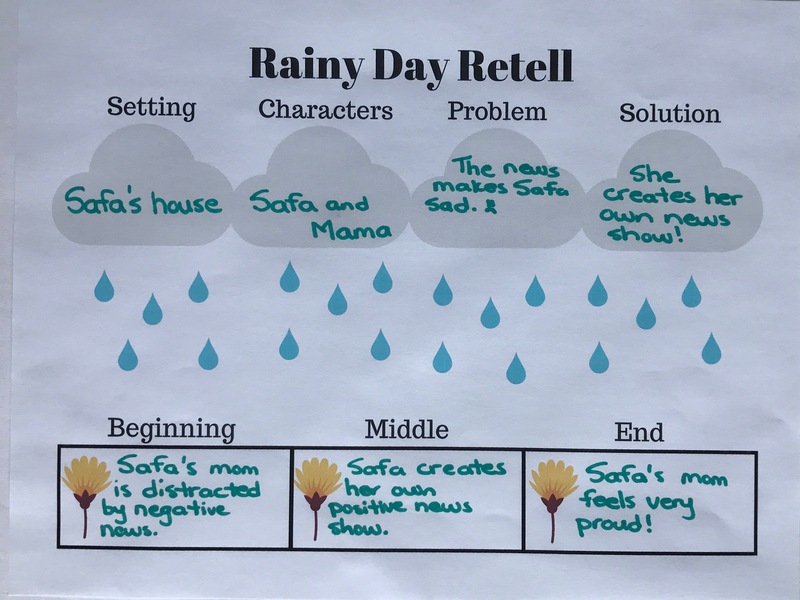 The rain symbolizes how the details help the story form. 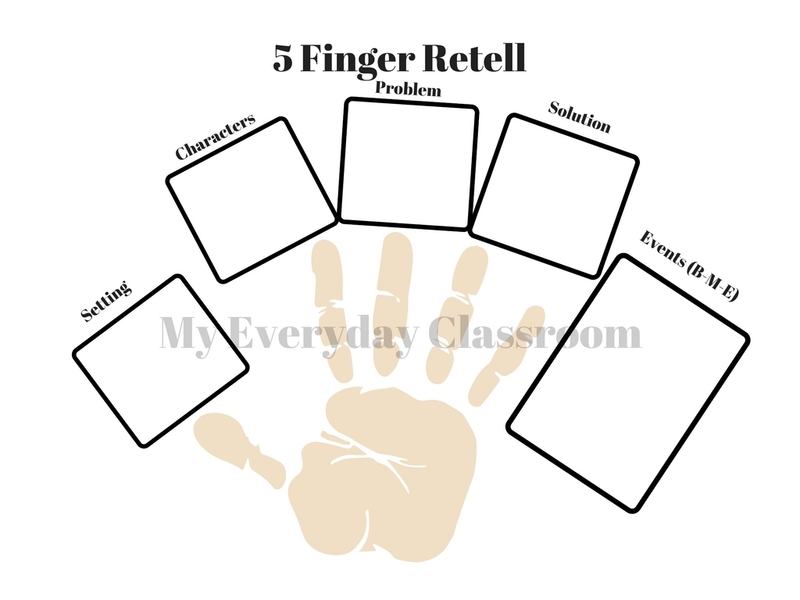 This activity encourages students to use their 5 fingers as a reminder of the important parts of a story. This is a great way to get students familiar with the 5-finger strategy to help them summarize stories in the future. Students play this game in pairs and take turns rolling a number cube. When they land on a question they must answer it. If they cannot answer it, they move their player back a spot. You will need a number cube and markers/players. 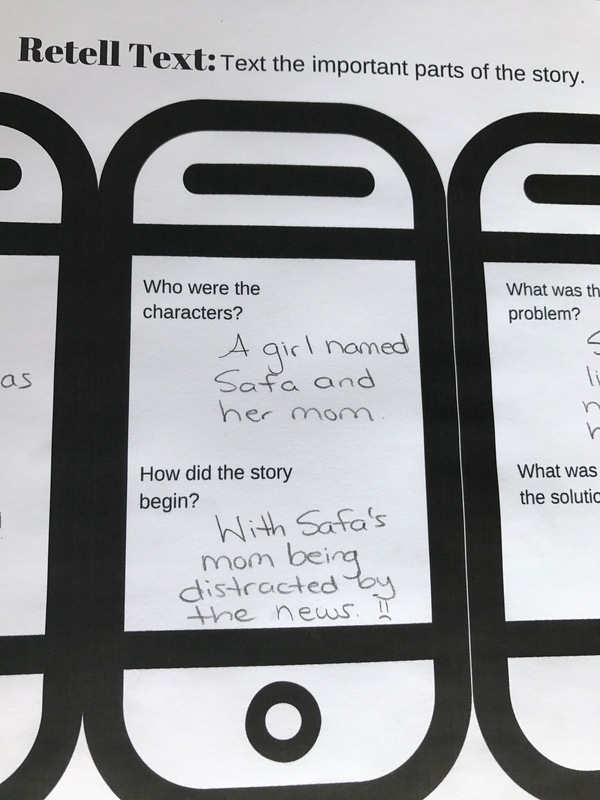 This worksheet resembles a text message exchange, in which students must fill in the story details. 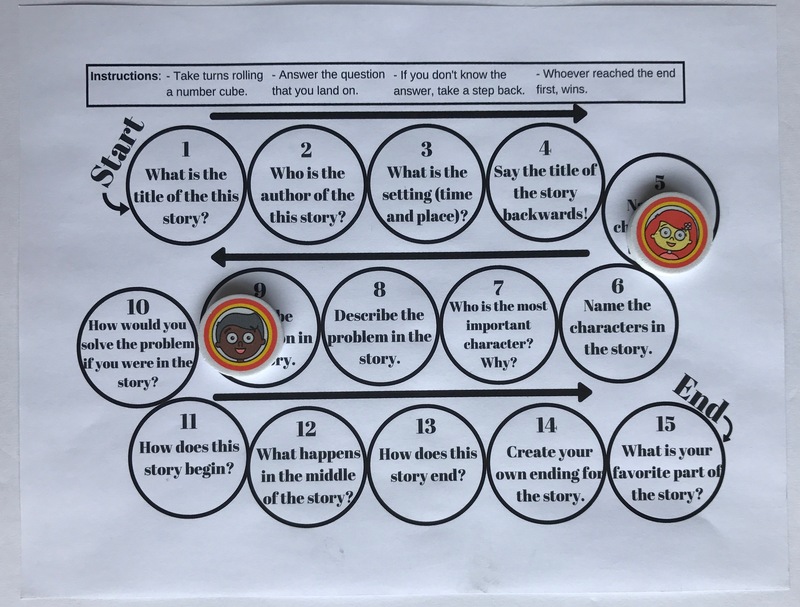 This section is meant to encourage students to create a visual representation of the details in a story. Once the images are drawn and colored, students must cut out their pages along the scissor lines. They glue the backs of the pages together to create a retell booklet.